I have been beavering away on my stall for tomorrow's fair but I saw Natasha's sketch and thought it would only take a few minutes to make a card. And it's true - it literally did take minutes! Whenever you need to make a card in a hurry, designer paper is often the answer. I used two of my favourite papers from the Autumn Meadows pack here. The woodgrain one was adhered to a Very Vanilla card base. 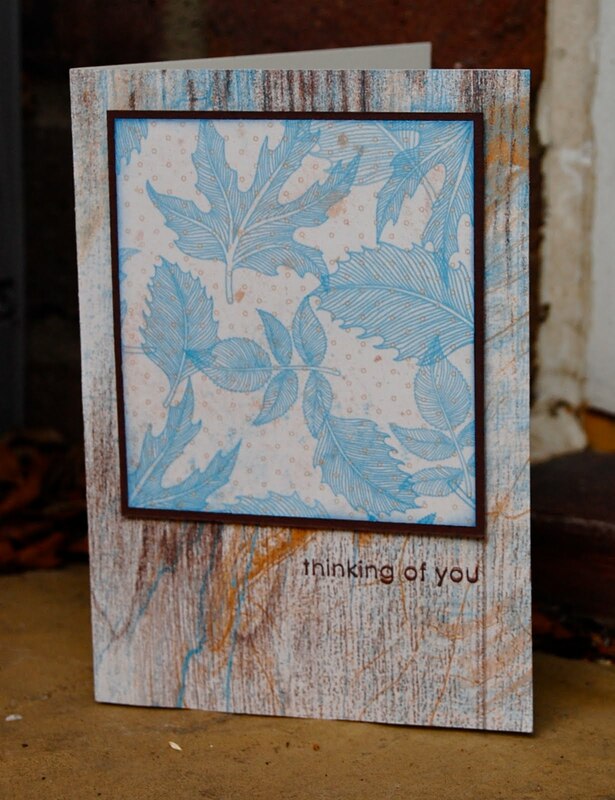 The edge of the blue leaf print was sponged with Bashful Blue ink before matting it onto Chocolate Chip card stock. 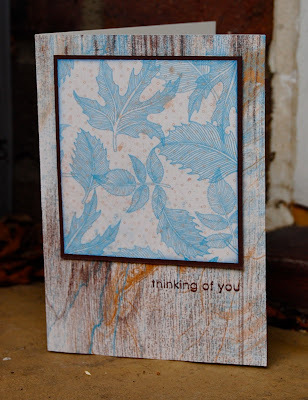 I added the panel to the card with dimensionals and stamped the sentiment using my stamp-a-majig. Very speedy. You may be forgiven for thinking I may have mislaid all the rest of my designer paper! I do really love this pack (in fact it may just be my favourite of all time!) but I have been making things with other papers for the fair tomorrow. I'm looking forward to the fair. Last year my youngest son told me it was better than Christmas! (Slightly worrying considering I put a great deal of effort into our festive season!) Anyway, I'll show you photos of my stall next week. Hope you all have a fantastic weekend. Beautiful card! Thanks for sharing! Very pretty! I love the combination of blues and browns! What a fun card for Fall! Good luck to you for Saturday - hope it turns out to be a fine day for you! I love that you made such a beautiful card in such a short time -- makes me want to try it! Stunning card, you've done some wonderfull work with these papers and stamp set. Best of luck for your fair. Oh, Vicky -- way to much to comment on as I caught up on your last 10 or so posts. Loved every single thing you showed -- scrapbook page, photo card, and all the stamped cards, too. Oh, and the wine bottle tag. May have to jot down those measurements (and it would be a good metric system review for my old brain...). 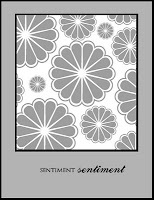 Oh -- the card in the previous post -- never would've thought to use one of those circles as flowers. Love the idea! Hope your fair has gone well today!